Trials are not what they look like on TV. In Florida alone, the statewide criminal caseload was 739,440 in 2015. There are very many criminal cases, but very few understand what will happen. 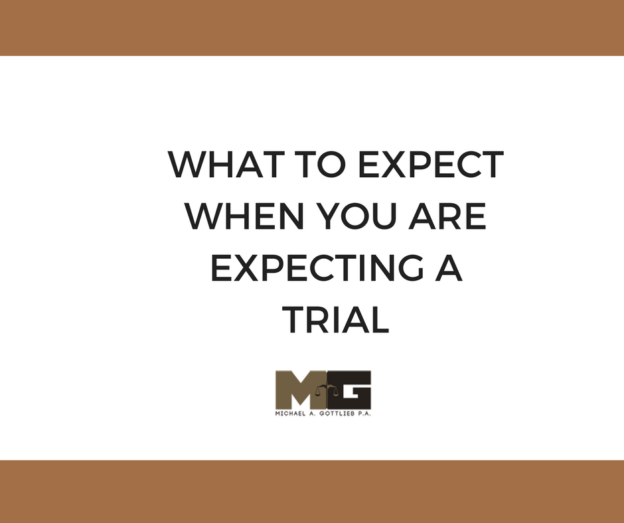 If you or a loved one will have a criminal trial, it is a good idea to understand what will take place. Generally, there are six distinct steps in a criminal trial, which we will discuss in detail. This is before the trial itself. The Seventh Amendment of the Bill of Rights grants Americans the right to trial by jury. These jurors are randomly selected from a pool of people. People who are selected undergo a vetting process, where they are asked a bunch of questions regarding their ideological stances and personal circumstances. While this may seem a bit intrusive, it is important to ensure that the jurors are fair. For example, if a teacher is on trial for arson, a prosecutor may ask a juror about their occupation. Should they answer teacher, and then add that their mother is a teacher too, then they might sympathize with the defendant. This is called a “peremptory challenge”. Another reason a juror might not get selected for trial is “for cause.” Convicted murderers are liable for the death penalty in Florida. During the jury selection process, a potential juror may reveal that they do not believe in the death penalty. This juror would be far more reticent to convict, as they know a conviction might mean the death penalty. Thus, they might not be selected. Here, the prosecutor goes first. The prosecutor is laying the groundwork for their case, and elaborate upon the crime. They present the facts of the case. The prosecutor is trying to prove that the defendant did it, how they did it, and why they did it. The burden of proof is always on the prosecution. The defendant’s council regales the jury with their interpretation of the facts. If there are any positive pieces of evidence or facts, they present it here. During both opening statements, the opposing council is not allowed to rebut or respond. This is just one lawyer talking for a little bit. This constitutes a vast majority of the case. This is when the prosecution calls witnesses to the stand and presents their evidence. When a witness is called to the stand, they first must be sworn in. After swearing in, the prosecution asks them questions to try and build a case. This is called direct examination. When they are done, the defense is allowed to ask the witness question, to take apart the case. This is called a cross-examination. This happens in turns and can go through multiple rounds. Witnesses have rights. For example, witnesses are allowed to take quick breaks from questioning when they are angry or frustrated. Telling the truth is an absolute necessity, but you do not have to tell more than what is asked of you. Focusing on the lawyer asking your questions is important. This is what they show on TV. Both lawyers attempt to sum up the course of the trial in their favor. The prosecution points out the evidence regarding the defendant’s guilt. The defense pokes final holes in the case, and suggests that the burden of proof has not been met. During this phase, the judge explains which legal definitions the jury should be using, what certain legal concepts mean and how they are applied, and damages. Basically, the judge is giving the jury the framework to use when deciding if the defendant is guilty or not guilty. The jury then goes to discuss the case in detail and deliver a verdict. In Florida, the decision needs to be unanimous. All twelve jurors must decide that the defendant is guilty. When the jurors cannot come to a conclusion, at which point the judge may declare a mistrial. If you have any questions about criminal law in Florida, do not wait to call us. Michael Gottlieb is an experienced, resourceful, and skillful Broward County Lawyer who will fight for you.